With an increase in the demand for natural beef, it is surprising that kosher options have been slow in coming, but this month saw the launch of Tevya’s Ranch new product line and now offers affordable, glatt kosher, grass fed, antibiotic-free, organic beef. 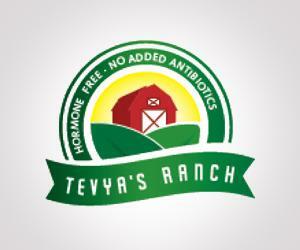 Tevya’s Ranch has been importing superior meat from Uruguay for many years. A family owned company, the business is growing quickly as demand has been feeding sales for grass-fed beef. The launch of the organic line, available in many kosher markets nationwide and even online, expands healthy food options for kosher shoppers. Competitively priced, grass fed beef is the same price as factory produced beef, or even less. The new line of organic grass fed beef is just a little more per more per pound. Just last year, a multi-million dollar deal created a merger between Albertson’s and Safeway grocery chains because competition from more wholesome supermarkets had been affecting their bottom-line profits. The failure of these supermarkets was a comment on consumer response to mass-produced food. Increasingly, we want our food to be natural and closer to what G-d created. This is what Tevya’s Ranch is doing. Today, we are seeing far better food options and a broader spectrum of food supplies which offer greater choice for the most discerning diner, the family chef and the tiring toddler. Californian shoppers are better educated than generations before, knowing that steak has less sodium than a hot dog and organic milk has more calcium than vanilla pudding. Even discount stores now offer wholesome, additive-free foods for sale at competitive prices. Shabbat splurges are inevitable, but now we can create a more varied meat meal that provides nutritious sustenance. 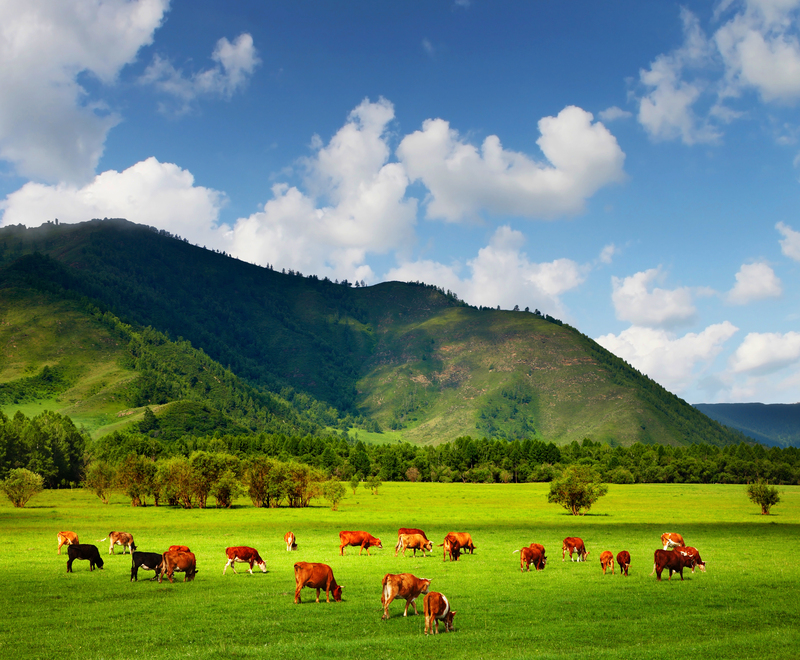 Previously, the grass-fed organic beef market was bereft of suppliers. Highly affordable organic fruit and vegetables were readily available and even non-kosher markets offered organic chicken. Still, despite the demand, grass-fed organic beef was a latecomer to the market. America has been slow in providing grass-fed beef, organic or not, for many reasons. Primarily, it is because consumer demand for burgers and steak is so high that a factory farm has an economic incentive to produce cattle which is ready for slaughter in as little as 16 months, rather than 24. All cattle start their lives by grazing on pasture for six months or so, but commercial cattle is then fed at a feedlot on a concentrated mix of corn, soy, grains, and other supplements, plus hormones and antibiotics, with a fair dosage of GMO’s, and is then ready for eating as quickly as possible. Despite the health concerns, demand for beef has risen. Overall beef sales rose 7% to $23.6 billion in value in 2014. Beef prices have reached an all-time high and perhaps because of this, growth in the production of healthier beef products has also been impressive. Sales of beef labeled “natural” climbed an impressive 23% to $701.8 million in 2014 and organic meat sales increased a massive 75%, according to market-research firm IRI. So it is that Americans are trying to eat more carefully and there is a better understanding of the issues at stake – excuse the pun. The new products from Tevya’s Ranch will provide a simple choice and will help consumers avoid the confusion that is endemic to other lines of beef. Simplicity is needed because American labels are magnificently confusing. “Antibiotic-free” only means that the animal wasn’t given antibiotics within 24 hours of being processed. “No antibiotics administered” doesn’t reflect whether there were antibiotics in the feed and “100% pastured” doesn’t mean the cattle were grass fed. Jo Robinson’s book, Pasture Perfect, is now ten years old, but even then we were educated on key issues relating to pasture-raised animals, “If you eat a typical amount of beef per year, which in the United States is about 67 pounds, switching to grass-fed beef will save you 16,642 calories a year.” All these issues have created the foundation for a grass fed versus a grain fed cow. Buying Tevya’s Ranch beef lets the consumer do what’s better for the planet because less energy goes into growing grass than grain. This choice is better for you and your family, because there is less overall fat and cholesterol and more omega-3s and other “good” fats in the beef. Finally, you can do what’s better for the cow, steering away from harsh feedlot practices. Glatt Kosher grass fed antibiotic-free beef comes from herds which are handled in a more humane way from start to finish. It is not surprising that Tevya’s Ranch is farming cattle in Uruguay. Although a small country, bordering Argentina and Brazil and with a population of less than 4 million, Uruguay has been the birthing ground of grass-fed beef. The country has vast prairie lands and the seasons are mild so there is year round grazing. Grazing on fields that glisten under the sun and stars, Uruguayan cattle are never fed hormones and antibiotics are never given to healthy animals. Grass-fed cows from Uruguay have time to fatten, so they are not too lean, which would produce beef with less flavor. Uruguay prides itself on progressive techniques for managing its cattle. Government regulations exist to manage the use and disposal of pesticides used in animal health. Uruguay has never had mad cow disease because, among other preventive measures, there is compulsory veterinary inspection of food products of animal origin. Additionally, the importation and manufacture of veterinary drugs for growth promotion, or fat promotion in cattle is illegal and cattle are raised in open pastures. In launching this organic line of grass-fed beef, Tevya’s Ranch has created new organic meat option providing the kosher consumer with an earthy, grassy and flavorsome steak, burger or brisket. Taste tests overwhelmingly come out in favor of this wholesome alternative. There is “100% Grass Fed” beef from cattle raised entirely on a grass fed diet. There is the higher quality “Never Ever” beef, which is from premium cattle who are never administered hormones or antibiotics. The “USDA Certified 100% Organic Beef” comes from cattle who are raised like Never Ever beef, but are additionally USDA Certified as 100% organic. Then there is “Grain Finished” and “Premium Black Angus” beef, which are grain fed for the last three months. This creates a juicier end product. When cooking grass fed beef, cook steaks on a higher flame for less time, but roasts on a lower flame for more time.